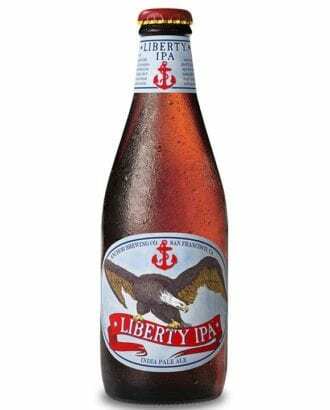 San Francisco’s Anchor Brewing first made Liberty Ale in 1975 to celebrate the bicentennial of Paul Revere’s midnight ride. Now, the newly revamped IPA reimagines the recipe by combining the original two-row pale malt and Cascade hops with new hop varieties Nelson Sauvin and El Dorado. The resulting brew has an expansive aroma of eucalyptus and tropical fruit, with a crisp bitterness that finishes smooth and barely sweet. The American-style IPA is available now through April.